Are all back in school? The question mark is vital. In many countries the school year is starting. But not all the children and kids have the same right and opportunity to go to school. AMU has its educational and school assistance projects. In the hemisphere where summer is giving way to autumn, many cities have suddenly changed their rhythm, to conform partly to the opening and closing schedules of the schools, the cause of morning traffic, jams, or the gathering of groups at the exit of the scholastic facilities. But if for many children it is obvious that the return to school with a backpack, means meeting teachers, schoolmates, occupying a desk and are chair, for many others, in other parts of the world, struck by painful situations of war or poverty, going to school, keeping up with one’s studies or doing the homework is a challenge. These are the problems addressed by AMU (Action for a United World). Inspired by the spirituality of Chiara Lubich, it works to spread a culture of dialogue and unity among peoples through development projects worldwide. As for example in Syria. Today, now that the violent armed clashes have ceased, but not the emergency, the country is taking stock of the destruction of many school infrastructures and buildings, the migration of capital abroad, the economic embargo. In Homs, the transfer of many people from some bombed districts to others considered “safe” and the reduced number of professors, who have migrated, have led to an overcrowding of the schools, resulting in the lack of adequate support for each student. On the other hand, the cost of attending a private school has become impossible. AMU’s commitment is that of offering greater care and attention to the evacuated children, accompanying them with educational and scholastic programmes. Instead in Damascus, in the old Tabbale district, the aid goes to the “Bayt al Atfal” Centre which gathers, for four days a week, 120 children between 6 and 10 years of age. 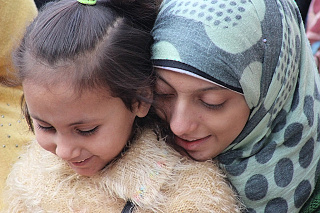 Some of them live with their families in just one room and do not have a place where they can study, others have learning difficulties or syndromes such as dyslexia, or simply cannot count on anyone’s help, due to the absence or the illiteracy of their parents. 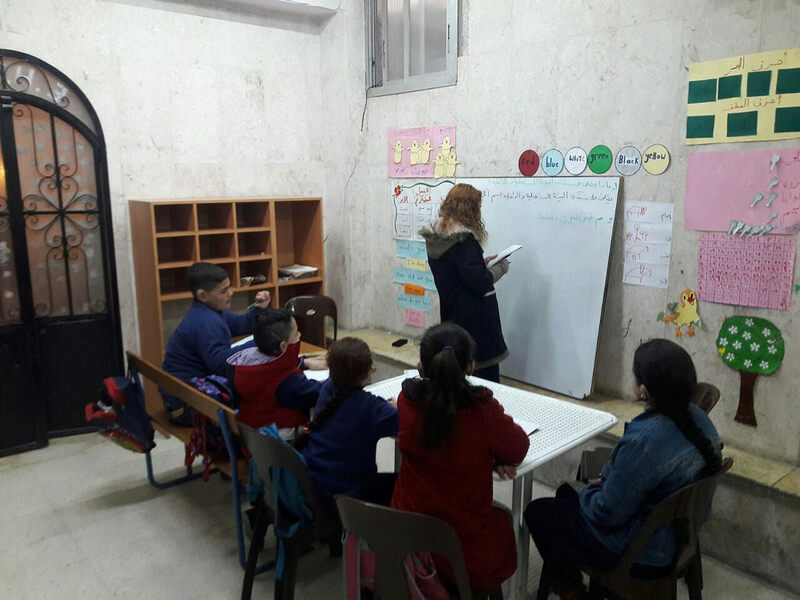 In Aleppo, AMU supports a centre for deaf children who are not admitted to public or private schools. 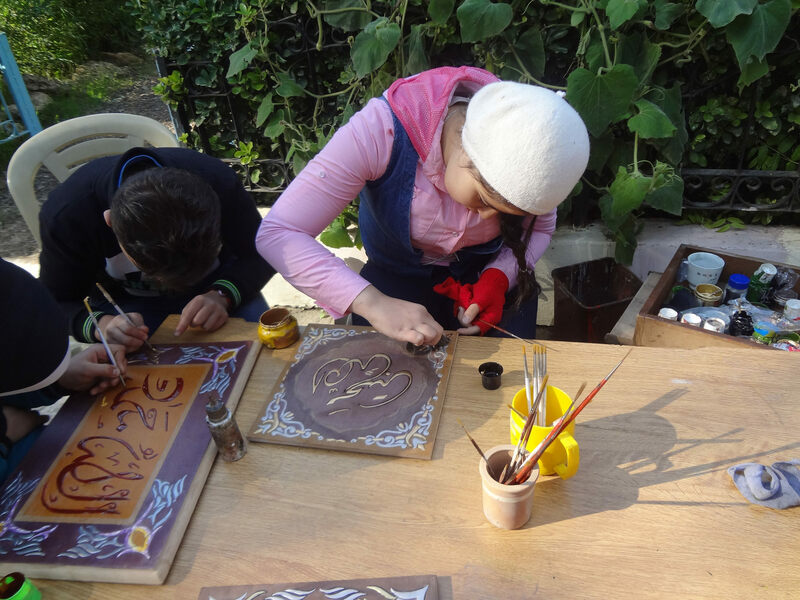 Today the “EHIS” school hosts 75 children and offers work to 30 people, among whom, professors, assistants and labourers. Still in Aleppo, the learning project “Learn and produce,” organised by the Syrian Handicrafts Centre, and supported by AMU, is bringing ahead a training course, for 20 adolescents, who learn to make and sell local artisanal items like soap based on laurel, brass objects and embroideries. In Cairo, Egypt, the “hot topics” are scholastic dispersion and access of women to educational and professional courses that could help them develop their own professional capabilities. “Change For Tomorrow” of the Koz Kazah Foundation, in the community of Shubra, one of the most populated districts of the grand capital on the Nile, supports a group of women who have started up activities like the processing of wicker, cuisine, and ecological prints. In Italy, AMU offers to teachers and educators a training path entitled “Living peace: peace as a school project.” Instead, for schools and groups of teens, it offers the “Basta conoscersi” project. The AMU educational and study assistance projectswelcome donations. In this way, for many children and adolescents September can really become a time to go back to school.